This piece continues my series of trees and plants. Black and white has always appealed and I wanted to see how it would work using different techniques. 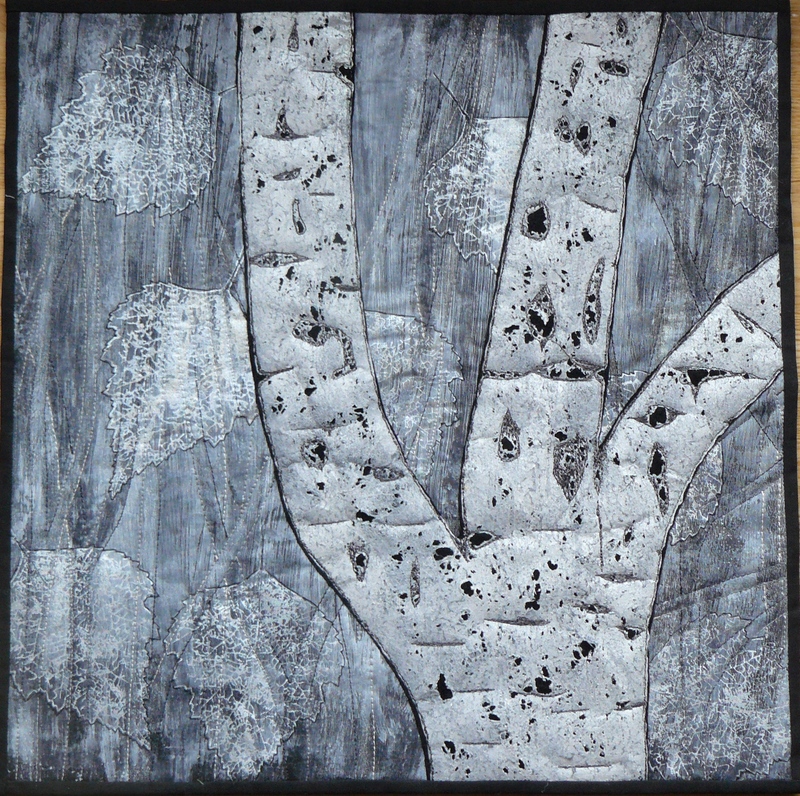 My subject is the birch tree, the white streaked background didn’t quite come out as I had wanted so I machine stitch vertical lines to try and give a wood like backing, then I thermofax printed my birch leaves and the tree trunk is lutrador on a fine velour. I would have liked to tree trunk to have less regular edges but it is a bit tricky controlling the lutrador when heating it. 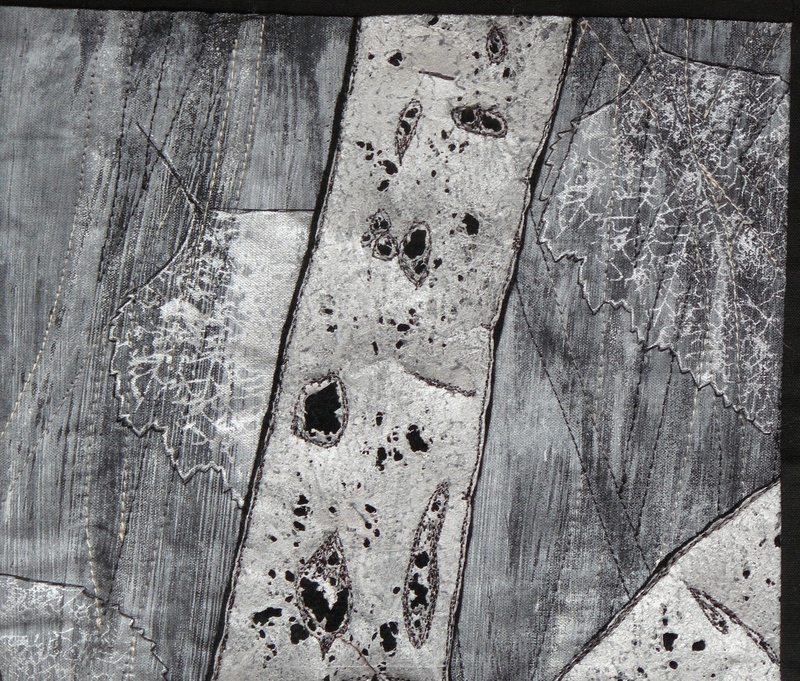 The backing is black cotton with white acrylic paint, the machine stitching is using threads graded black through grey to white. The leaves are printed in fabric paint with black hand stitching around the edges to make them stand out.I had great difficulty photographing the whole piece to keep the colour true, the detailed piece shows the true colours. The leaves and tree trunk are fantastic. Your use of different techniques is really paying off. Beautiful, I like your leaves ! Love all your different techniques. Lovely! All the different techniques in one quilt. It must be nice to see al the treequilts together.